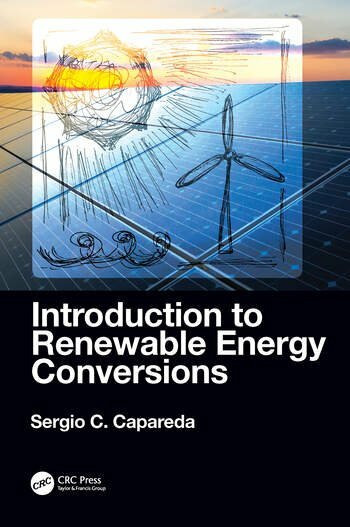 Introduction to Renewable Energy Conversions examines all the major renewable energy conversion technologies, with the goal of enabling readers to formulate realistic resource assessments. 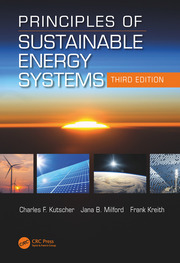 The text provides step-by-step procedures for assessing renewable energy options, and then moves to the design of appropriate renewable energy strategies. The goal is for future engineers to learn the process of making resource estimates, through the introduction of more than 140 solved problems (and equal number of solved problems for teachers), over 165 engineering related equations, more than 120 figures and numerous tables to explain each renewable energy conversion type. A Solutions Manual, PowerPoint slides, and Lab Exercises will be available for instructors. Sergio C. Capareda is a Professor and Faculty Fellow at Texas A&M University. He holds a Bachelor of Science degree in agricultural engineering from the University of the Philippines at Los Baños (UPLB), a Master of Engineering degree in energy technology from the Asian Institute of Technology (AIT), Thailand and a PhD in agricultural engineering from Texas A & M University (TAMU), USA. 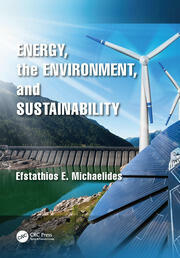 Capareda began his academic career in the field of renewable energy at the University of the Philippines at Los Baños. He developed the UPLB Biomass Energy Laboratory with funding from the Philippine Department of Energy (PDOE) and was Program Director for two World Bank Funded projects implemented by the PDOE on rural electrification and market assessment of renewable energy in the Philippines. He also developed the Biomass Energy Resource Atlas for the Philippines with funding from the US Department of Energy and the United States Agency for International Development (USAID). Upon joining the faculty at the TAMU Department of Biological and Agricultural Engineering in 2005, Capareda was tasked to redevelop the alternative energy program of the department. He developed and established the BioEnergy Testing and Analysis (BETA) Laboratory (http://betalab.tamu.edu) that year. The BETA Lab is currently being expanded to cover research and development for other major renewable energy technologies such as solar, wind and biomass power. Dr. Capareda has authored or co-authored more than 90 refereed journal publications since 2003, two book chapters in the field of renewable energy and air quality and a textbook entitled "Introduction to Biomass Energy Conversions." 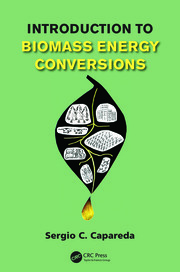 He holds a patent on Integrated Biofuel Production System and a patent for a Pyrolysis and Gasification System for Biomass Feedstock, which has now been licensed to private companies with various heat and power generation projects from various biomass resources such as wood chips, poultry litter, municipal sludge and municipal solid wastes (MSW). A three-time recipient of the Returning Scientist Awardee from the government of the Philippines and a two-time recipient of the USAID-Stride Visiting Professorship Award, Dr. Capareda has been providing continuous support to various universities in the Philippines as a key consultant on their renewable and air quality teaching, research and development initiatives. Capareda is a licensed Professional Engineer in Texas and an active member of the American Society of Agricultural and Biological Engineers (ASABE).